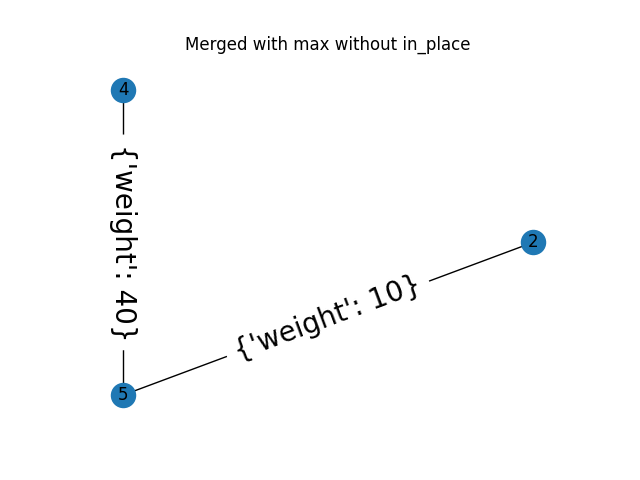 This example demonstrates the use of the merge_nodes function of a Region Adjacency Graph (RAG). 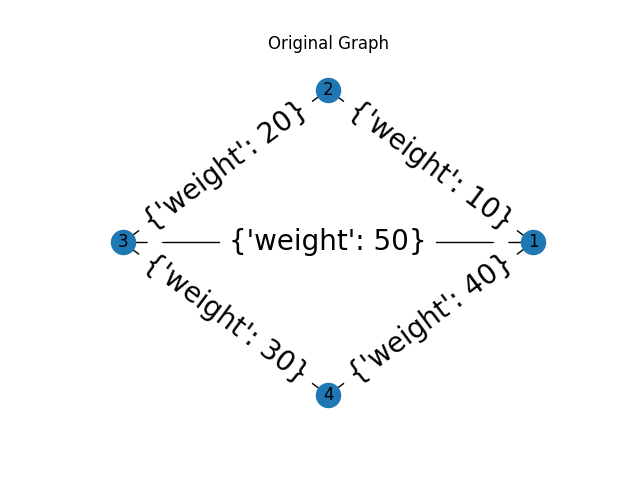 The RAG class represents a undirected weighted graph which inherits from networkx.graph class. 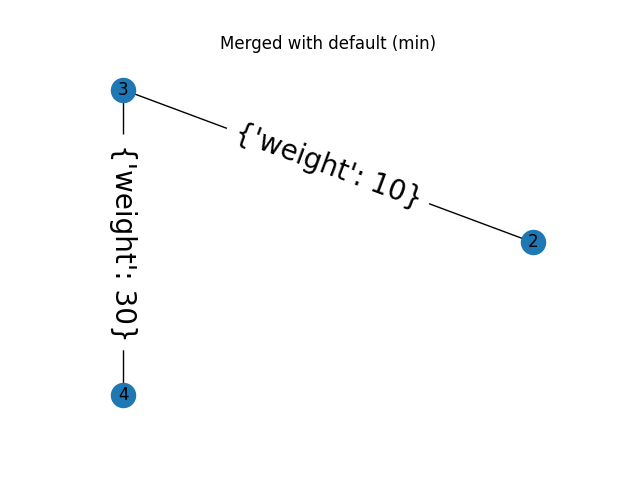 When a new node is formed by merging two nodes, the edge weight of all the edges incident on the resulting node can be updated by a user defined function weight_func . The default behaviour is to use the smaller edge weight in case of a conflict. The example below also shows how to use a custom function to select the larger weight instead. """Callback to handle merging nodes by choosing maximum weight. The vertices in `g` to be merged. """Displays a graph with the given title."""